Cape Town - Williams have decided to wait until the new year to reveal their second driver for the 2018 Formula 1 season. would make an announcement on Friday. However, the team have now confirmed that they will only finalise their line-up next year with a spokesperson saying they "don't plan on any driver announcement until January". 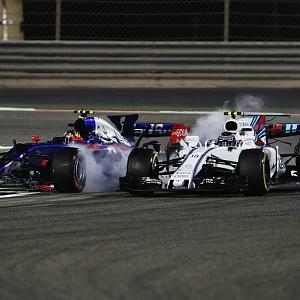 Russian Sergey Sirotkin, who has been the Renault test and reserve driver for the past two seasons, is the favourite to join Williams due to his sponsorship, especially after reports earlier this week suggested that Robert Kubica was out of the running. However, Kubica appears to still be in contention as he will also bring financial backers with Massa claiming that "the path of the team is financial, including Kubica". Other drivers who have also been mentioned as a possible partner for stroll include Daniil Kvyat, Paul di Resta and Pascal Wehrlein.